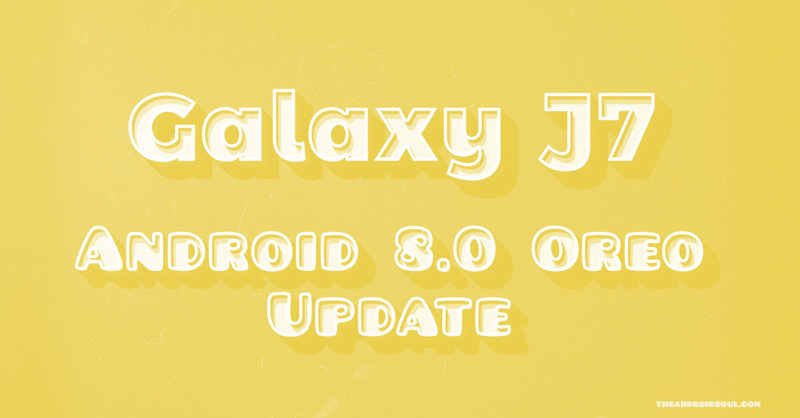 April 20, 2019: The Galaxy J7 Duo and Galaxy J7 2017 with model numbers SM-J720M and SM-J730F are now receiving a new software update as version J720MUBS3ASD1 and J730FMXXS5BSD1, respectively. The updates, which are arriving over the air, install April 2019 security patches, bug fixes and performance improvements. 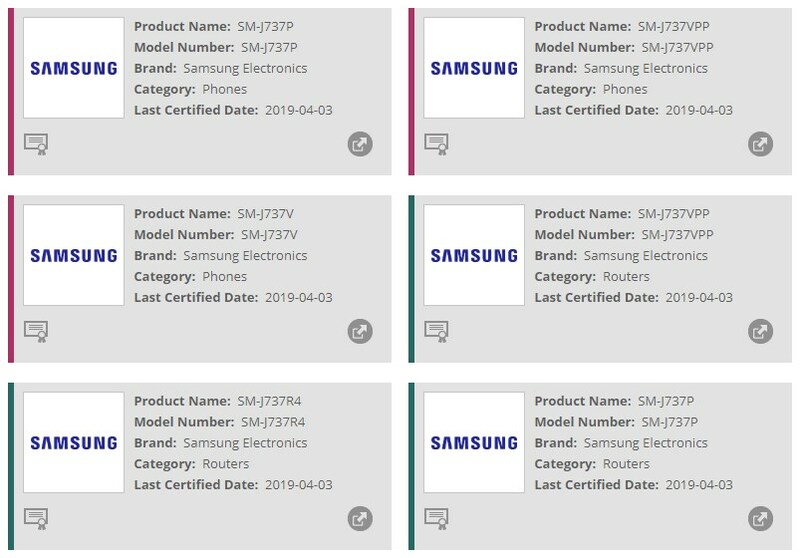 April 03, 2019: Multiple variants of the Galaxy J7 2017 and Galaxy J7 2018 have received clearance from the Wi-Fi Alliance to receive Android 9 Pie. The organization cleared the former ahead of the latter, but we can’t say whether this will affect their respective release dates. Even so, we expect both devices to be updated to Android 9 Pie sometime this Q2. Samsung has released a truckload of different Galaxy J7 models, all of which made this writer’s task a bit harder than he wanted it to be. But fair enough, it was interesting to check them out all in one view. Anyhow, all Galaxy J7 sets that have Android Nougat preinstalled will receive the Oreo update from Samsung. Those that come with Oreo preinstalled can gladly look forward to the upcoming Android 9 Pie update, but the wait could go all the way up to Q4 2019. On this page, we have all software updates for these devices along with their changelogs and download links where possible, be it major OS upgrades or minor monthly security patches. Verizon has one new Galaxy J7 device with it now, sold both under the postpaid and prepaid plans, and suitably dubbed as Galaxy J7 V 2nd Gen. The postpaid offering comes as model no. SM-J737V, while the one sold under as the prepaid handset is identified as SM-J737VPP — PP stands for Prepaid, in case you were wondering. Note: Verizon Galaxy J7 V is SM-J727V, T-Mobile Galaxy J7 Pop is SM-J727T, MetroPCS J7 Pop is SM-J727T1, Sprint/Boost/Virgin Mobile Galaxy J7 Perx is SM-J727P, while that of U.S. Cellular is SM-J727R4. Samsung’s Galaxy J series is entitled to at least one major OS upgrade. Unless Samsung has plans to change this, the only J7 variant that is expected to receive Android 9 Pie update is the Galaxy J7 2018 variant. To put in simpler terms, all Galaxy J7 models that have Android Oreo preinstalled are eligible for the Pie update from Samsung. Samsung will be rolling out the official Pie update to the Galaxy J7 2018, meaning there is a small chance One UI could accompany the Pie update to this device. However, no official word is available at the moment, but we won’t be surprised if it misses out on the One UI either because Samsung is no stranger to such stunts. Only time will tell. U.S. Galaxy J7 2017 SM-J727 Eligible Released for model SM-J727R4 (U.S. Cellular) on September 11, 2018; Released for Verizon J7 on September 14, 2018; Released for model SM-J727T1 (MetroPCS) and SM-S737TL (Simple Mobile) on September 17, 2018; Released for model SM-J727T (T-Mobile) on September 18, 2018; SM-J727U on October 24 2018. Galaxy J7 Prime 2 SM-G611 Eligible Released on 26 September in 2018 in India and 18 October 2018 in Europe and UAE. Samsung started rolling out Android Oreo to the Galaxy J7 Nxt, otherwise known as Galaxy J7 Core, in early September 2018. This was the first in the J7 family to grab the Oreo update and later on followed by the Galaxy J7 2017 (SM-J730F) in Europe. Well, check out the model no. of your Galaxy J7 first, and then download the latest firmware available above for your exact model no. Next, install the downloaded firmware using our Odin Samsung firmware installation guide here.